We consistently get a number of great questions about our Erase Paste, so I wanted to take a moment to address some of the most common ones. I also want to let you in on the amazing gift sets we’ll be offering this upcoming launch. How Does Erase Paste Work? 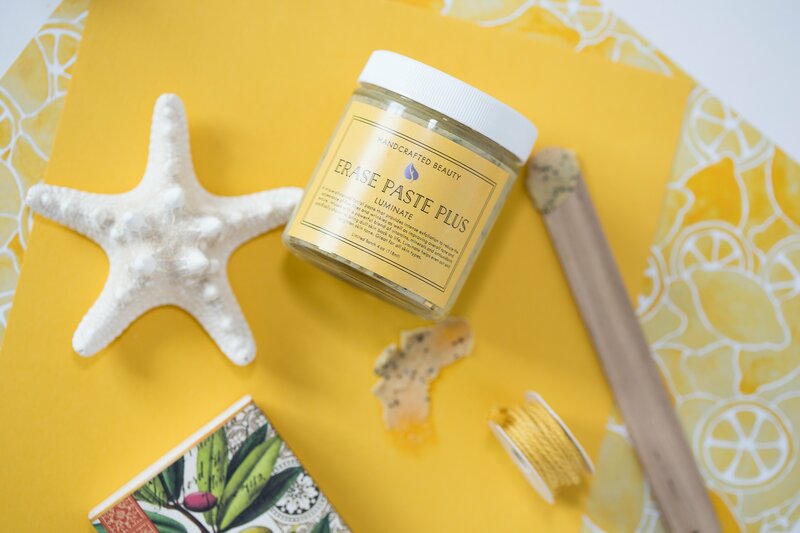 Erase Paste is an all-natural scrub unlike anything you’ve ever used. Formulated to deeply exfoliate and remove dull skin cells. This is INTENSE exfoliation…but not only does it get rid of the junk on your skin, it also delivers optimal nourishment needed for healthy new skin cells. It’s helps ERASE fine lines, acne scars, age and sun spots, and evens out skin tone. After just one use, you will notice smoother, glowing skin. How to Use Erase Paste? 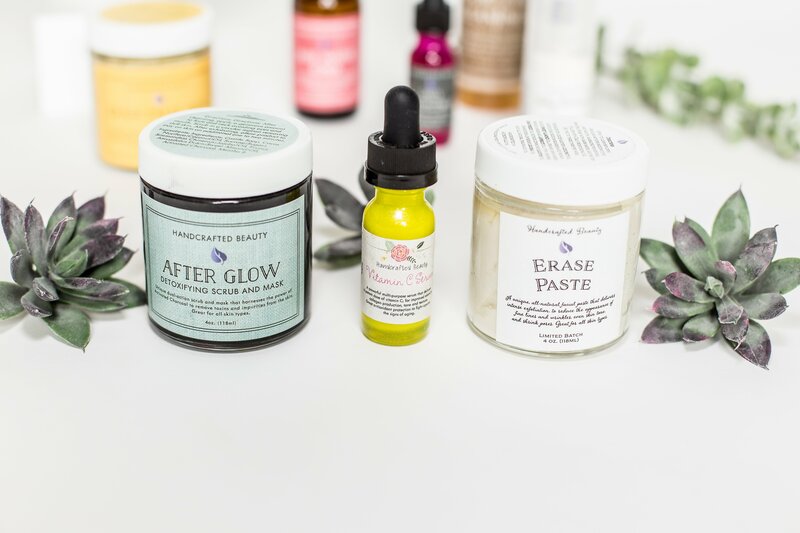 Erase Paste should NOT replace your daily cleanser. We recommend using the Erase Paste only 2-4 times a week, depending on your skin type. While exfoliation is a must for any skin type, there is a such thing as overdoing it. After cleansing your skin, follow with Erase Paste…apply to clean skin massaging into circular motions for 1-2 minutes. 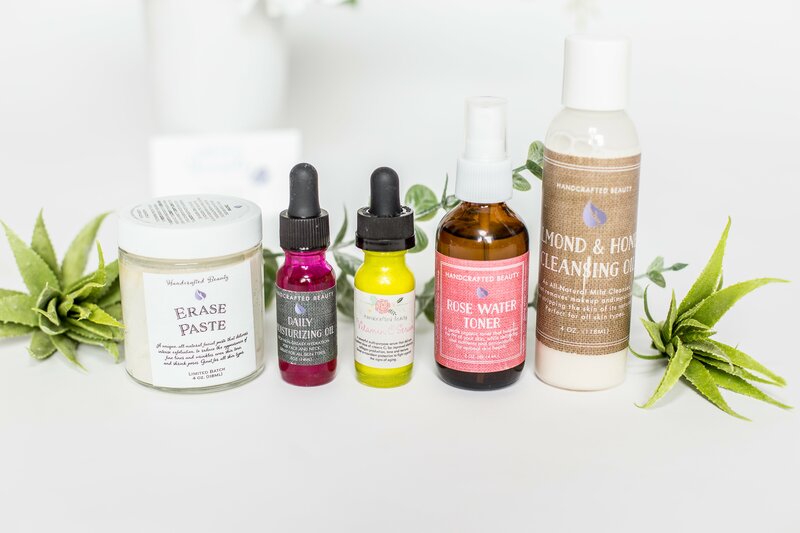 We highly recommend following with our Rose Water Toner and Daily Moisturizing Oil. 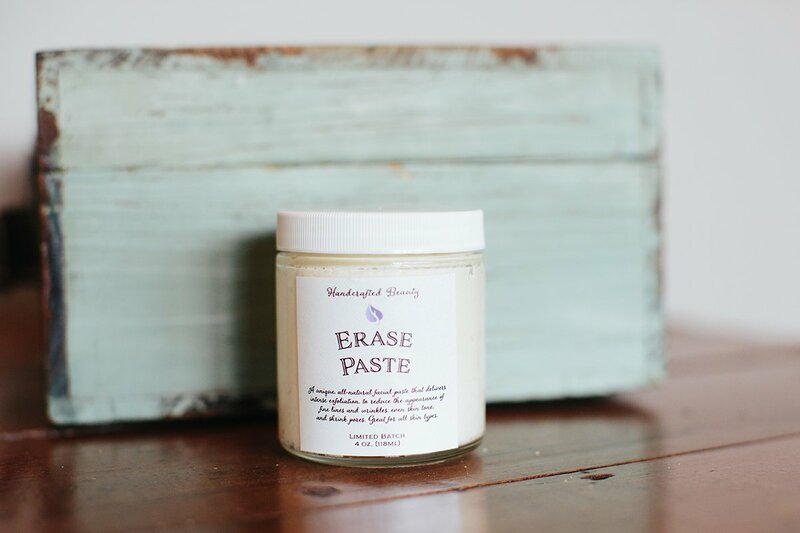 With every Erase Paste launch, we also handcraft a small batch of our Erase Paste Luminate. Generally, the Luminate sells out within a couple hours, so this launch we decided to step it up and tripled our batch. So what’s the difference between the original and Lumimate? That’s the million dollar question..
Basically, the Erase Paste Luminate is everything and more you love about the original. We tweaked the formula slightly and added a couple powerhouse ingredients that are sure to deliver amazing results. First off, I can’t talk enough about the fresh, lemon scent. We added lemon powder and lemon essential oil. 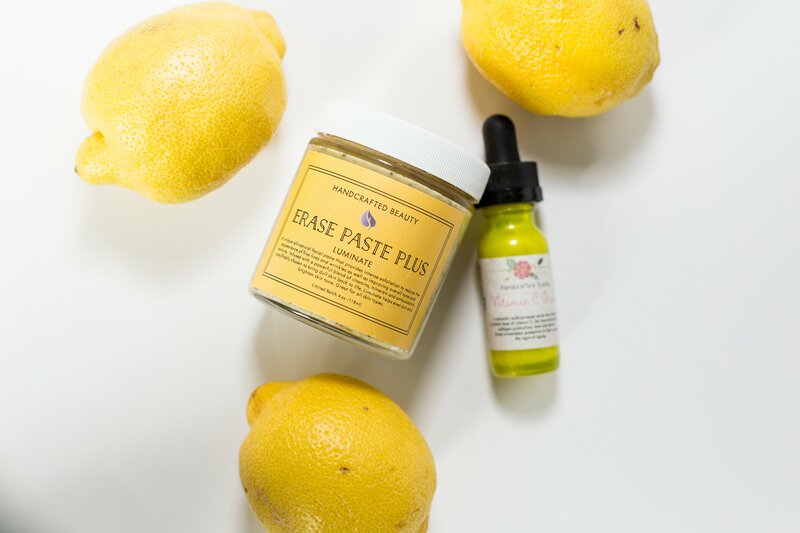 But not only do these ingredients smell amazing, there are also so many game-changing benefits to your skin. We also added blueberry seeds to the Luminate formula, which amps up the exfoliation. Your skin will immediately feel and look softer and smoother. What Gift Sets will be Available with the August 25 Launch? Is the erase paste eliminate considered photo sensitive with the lemon essential oil? Thank you! Should have been erase paste Luminate in above comment. This will not induce photo/uv sensitivity. That is usually when lemon essential oil is applied directly to the skin in great amounts. We use less then 2 ounces per total batch which will not create any UV sensitivity.